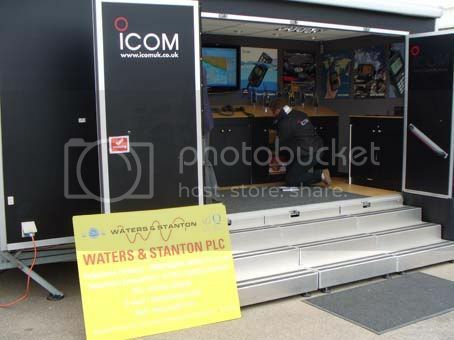 On Friday June 10th Waters & Stanton attended the Greensward Academy Industry Day, Steve Hoy & Norman Crampton represented W&S and were supported by Sam Taylor-Nobbs, Sales Manager of Icom UK. 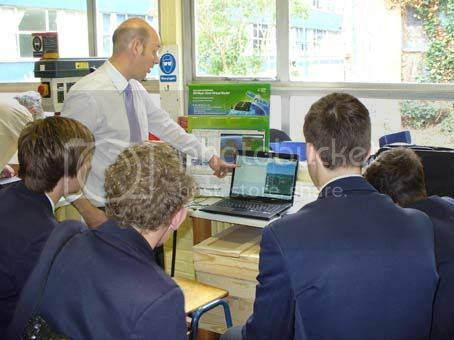 Industry Day gives Year 10 students the opportunity to meet actual employers and get some hands-on experience. Other companies involved included – Anglian Water, HSBC, Essex Police, Ford Motor Company, Keymed and Essex Fire & Rescue. Steve & Norman demonstrated radio equipment in the classroom, while Sam showed Icom radio equipment on the company demo vehicle. Debbie Stokes the Headteacher thanked us for our support for what she called “a vital day in the students choice of future employment”. This entry was posted on Monday, June 13th, 2011 at 10:26 am and is filed under News. You can follow any responses to this entry through the RSS 2.0 feed.You can skip to the end and leave a response. Pinging is currently not allowed.